Framed for murder. He's offered a way out. He just has to do a little job. 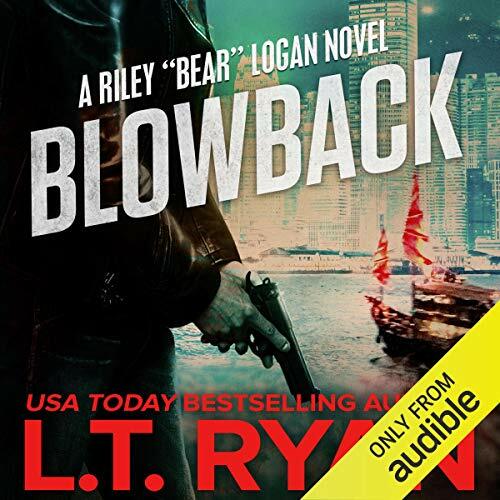 Riley "Bear" Logan returns in Blowback, the latest installment in the Jack Noble thriller world. While recuperating on the tranquil island of St. Lucia, Bear's world is turned upside down when he is framed for murder. A nemesis returns offering immunity...so long as Bear does a job. Get in. Get the package. Get out. Easy as that. But nothing is ever that simple for Bear, and he soon finds himself in the center of a web of corruption and deceit as the operation threatens to suffocate him. Unable to ignore his duty to those he has vowed to help, Bear races to untangle a nefarious plot capable of impacting the free world. Fans of Crais' Joe Pike and Clancy's John Clark will enjoy the Bear Logan as he strikes out on his own in this fast-paced thriller. ©2018 L.T. Ryan and Liquid Mind Media, LLC (P)2019 Audible, Inc.
I’ve read all jack noble series and this by far does not belong. This is not the same beat as previous stories. His characteristics and mood is no where near right. Wish I wouldn’t have wasted my money.